Most local church pastors know the burden of wearing many “hats.” Pastors are busy people who end up shouldering an incredible number of responsibilities. In fact, many pastors are so overwhelmed with their ministry obligations they end up feeling like a jack of all trades and a master of none! Sometimes the varied responsibilities of a pastor are ones a pastor feels called to pursue. Others are done simply out of necessity, urgency, or pressure. Over time, pastors may end up wearing a number of “hats” that need to be removed. 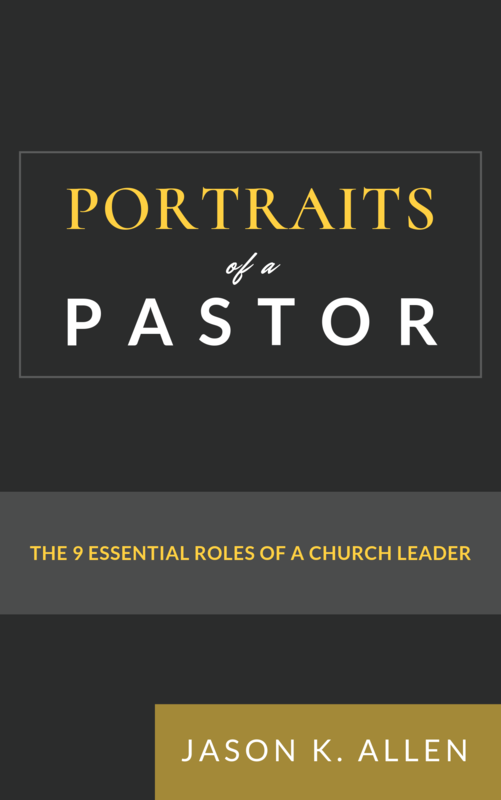 Portraits of a Pastor is written to clarify the biblical responsibilities of a pastor. Which tasks must he complete? Which responsibilities are most critical? What is the biblical basis for these responsibilities? What does God expect from a pastor? Every pastor and aspiring pastor will benefit from this collection of essays. Written by a number of professors and pastors, Portraits of a Pastor offers clarity for those who want to know exactly what a pastor ought to prioritize in his ministry. Jason K. Allen is the president of Midwestern Baptist Theological Seminary. Under his leadership, Midwestern has experienced new life, and the school is ranked as one of the fastest growing seminaries in the world. 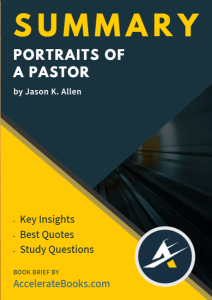 Portraits of a Pastor is a collection of essays edited by Jason K. Allen. Allen himself wrote the introduction, the conclusion, as well as the chapter titled “Pastor as Preacher.” Other contributors include Thom S. Rainer (Foreward), Jared C. Wilson (Pastor as Shepherd), Daniel L. Akin (Pastor as Husband and Father), Owen D. Strachan (Pastor as Theologian), Christian T. George (Pastor as Church Historian), John Mark Yeats (Pastor as Evangelist), Ronnie W. Floyd (Pastor as Leader), and Donald S. Whitney (Pastor as Man of God). The contributors are pastors, seminary professors, and denominational leaders. They are all part of the Southern Baptist Convention, and several are connected to Allen and his role as president of Midwestern. Most importantly, all have a heart for the local church and men who serve as pastors.